One night when Alex was about four, he asked for some applesauce at dinner. I asked him how daddy (who's French) says it. Actually, it's compote des pommes. 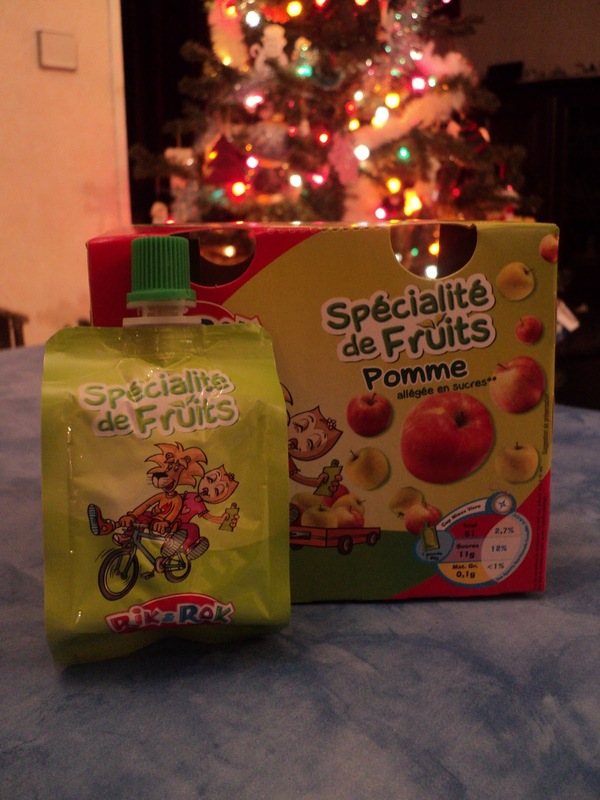 While this might not be the most sophisticated French food around, these packets are a very popular after school snack, and I buy them frequently. I buy them now, that is. There was a time when they were banned in my house because they were just all too fun.... Give them a good squeeze, and splat.